My next SQL Saturday was in Parma, Italy. I was there also in 2016. This time I decided to fly in to Bologna and stay there for a day before I proceeded to Parma. 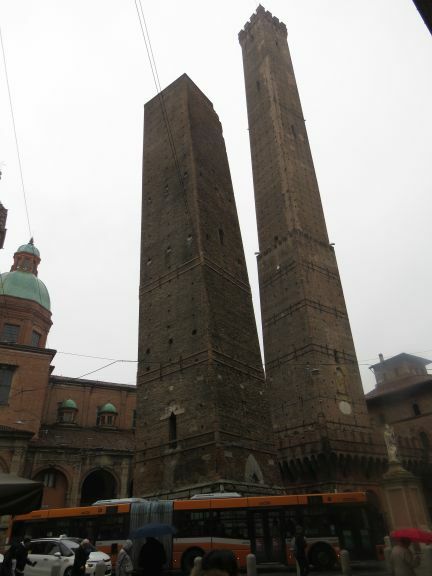 The old town in Bologna is full of historic buildings, and the most characteristic of them all are Due Torri ("Two Towers"), the only remaining towers of hundreds of towers that were in the old city wall. It is possible to enter the higher (and right-standing) of them to take in the views, which I did despite that it was a rainy day.